How would you try to spread the word about a website upgrade and site renaming within the British market? Well, Voyages-sncf.com decided to create a video to promote their new look, promoting it under #TheEasyWay hashtag. The concept was developed by TBWA/Paris and produced by Else and Hungry Man with the aim of taking a light-hearted look at just how far people would go to obtain a railway ticket – #thehardway or #theeasyway. 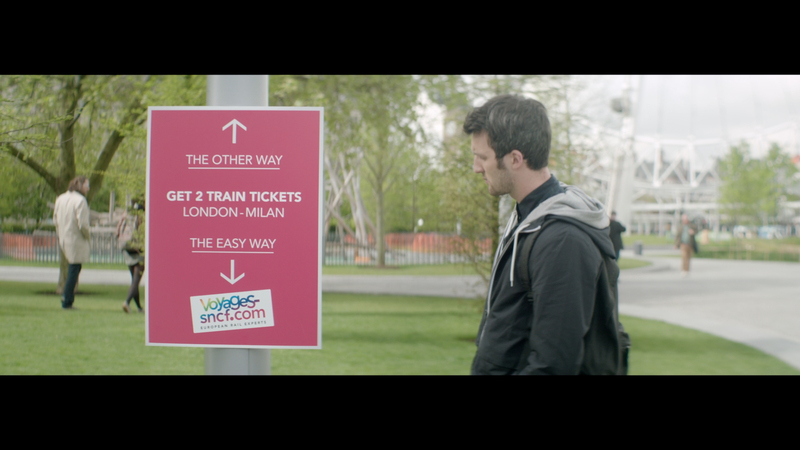 This tongue-in-cheek campaign shows customers attempting to overcome a wide range of obstacles preventing them from obtaining a ticket and was filmed at various landmark locations throughout London on a two day shoot. Other keynote supporting activities within the digital campaign strategy include an interactive online banner advertising campaign that offers the general public the opportunity to win rail tickets to Europe by #thehardway or #theeasyway. The #hardway (on sites such as MSN UK, Travel Supermarket, Yahoo and TripAdvisor) involves either clicking over a ticket on the banner for 24 hours non-stop, clicking a banner a million times or scrolling down a banner the equivalent of 587 miles (the exact distance from London and Geneva). The #easyway of course is by registering for the competition via Voyages-sncf.com. A blogger outreach campaign with iAmbassadors will help amplify the campaign. 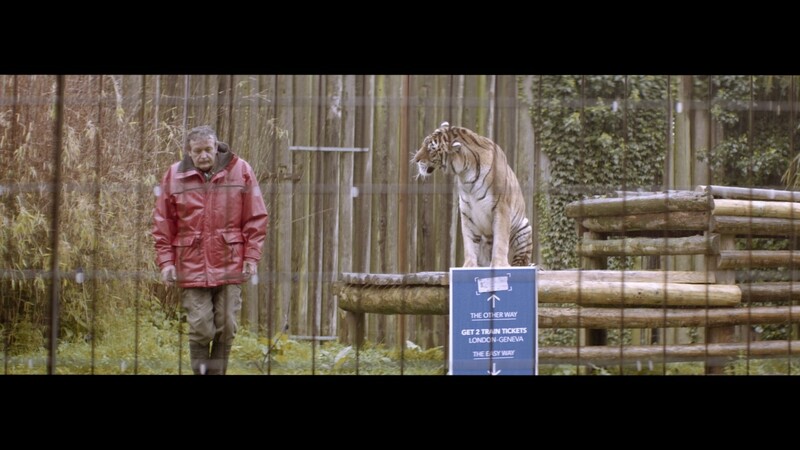 Oh and one last point, we can reassure you that no humans were harmed in the making of this video!! « How far would you go to obtain rail tickets to Europe?